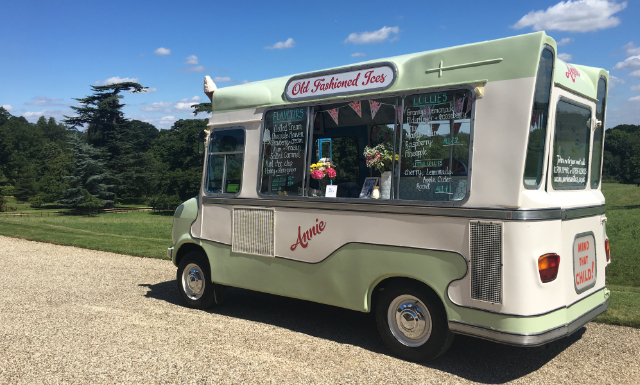 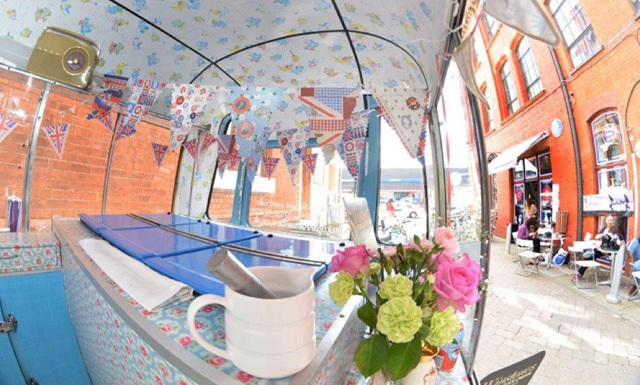 Annie is a vintage ice cream van who dreams about all things vintage, floral and ice cream. 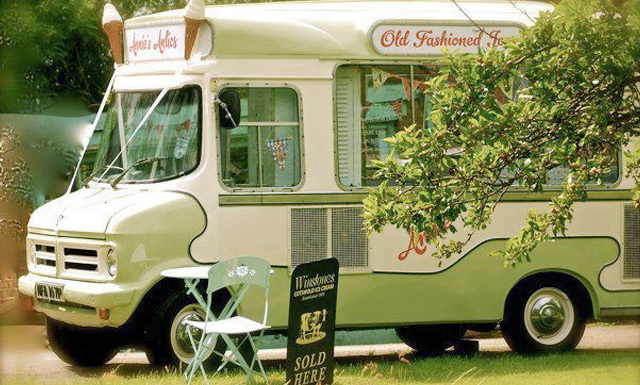 She provides only the best ice cream made in the beautiful Cotswold countryside using only local organic milk and fruit. 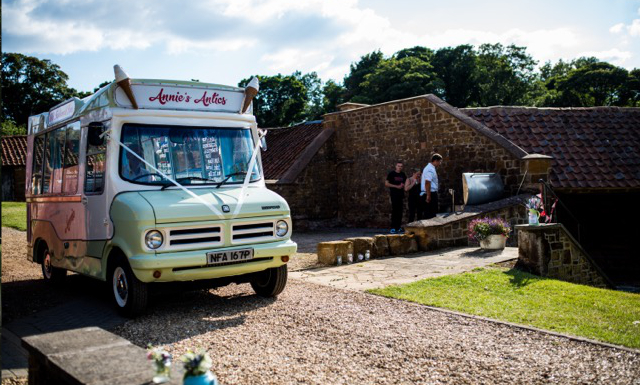 There is nothing Annie loves more than celebrating and she is sure to make your event extra special. 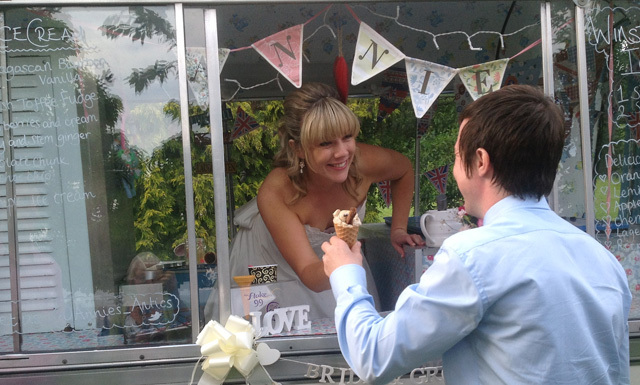 The one thing (apart from her fiancé) Liz really yearned for, at her own wedding reception, was a vintage ice-cream van. 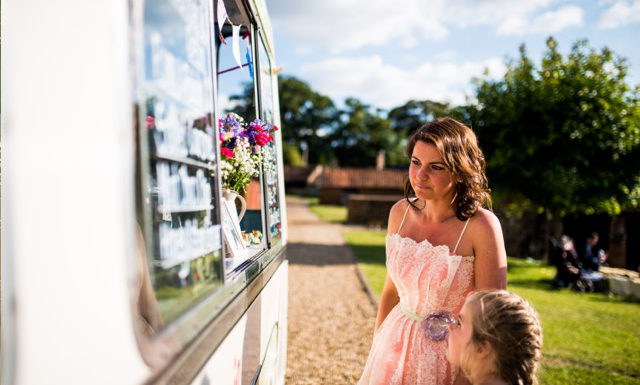 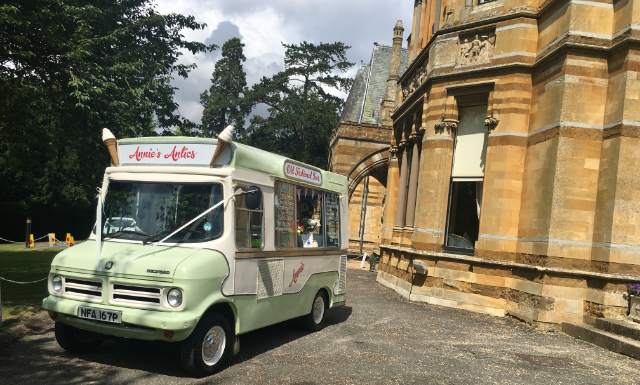 When she found that the one she wanted was already booked, she took things into her own hands, eventually found an ice cream van on Ebay and made a bid. 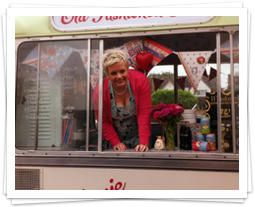 She had located a 1976 Bedford CF (in quite gaudy colours but good condition) and her whole family’s fingers were crossed. 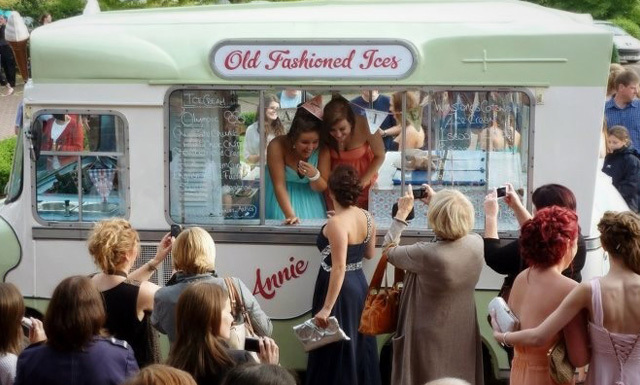 Fortunately, it became apparent Liz had won the seven day auction and so Annie’s Antics was born. 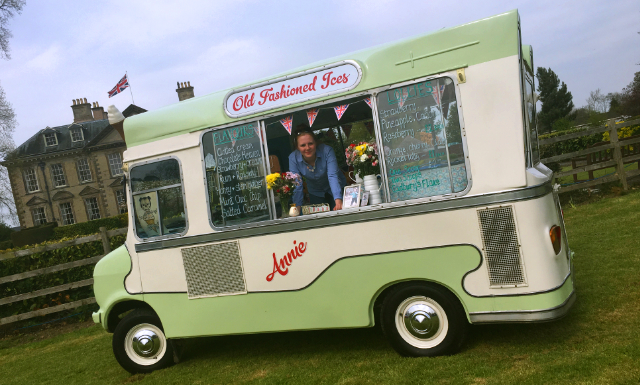 Liz used some of the inheritance from her mother, Anne, to fund her new venture and that’s how ‘Annie’ got her name. 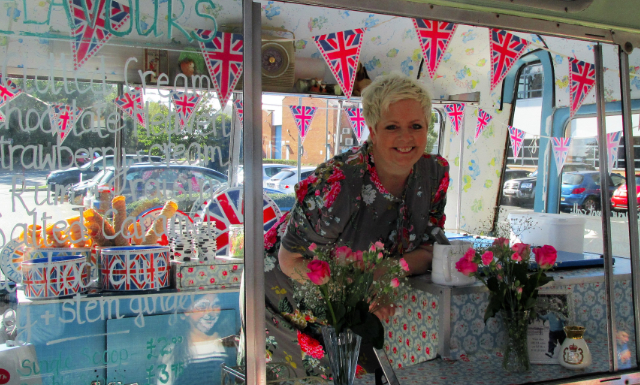 Then the ‘make-over’ began – she had some body work attended to, a re-spray, new signage and interior decor. 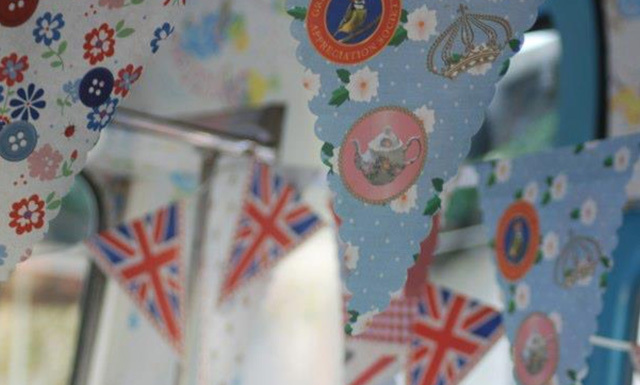 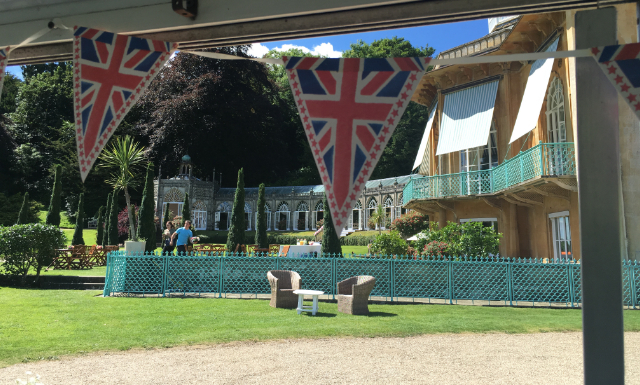 She was decked in Cath Kidston print and bunting and was soon raring to go. 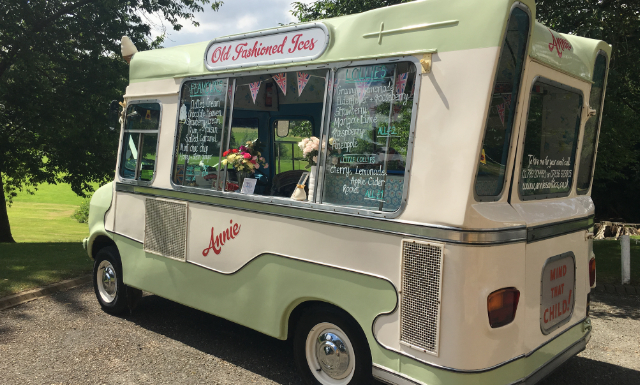 Annie serves only the best Cotswold ice-cream, each made with the finest locally sourced ingredients, especially the organic milk from the cows roaming the commons next to their premises. 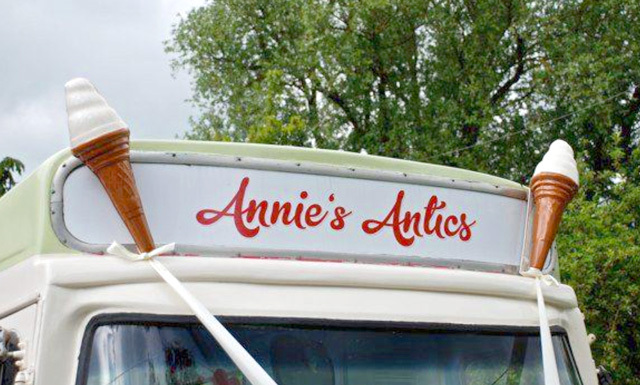 On board, Annie also has old-fashioned flavoured ice lollies and traditional drinks. 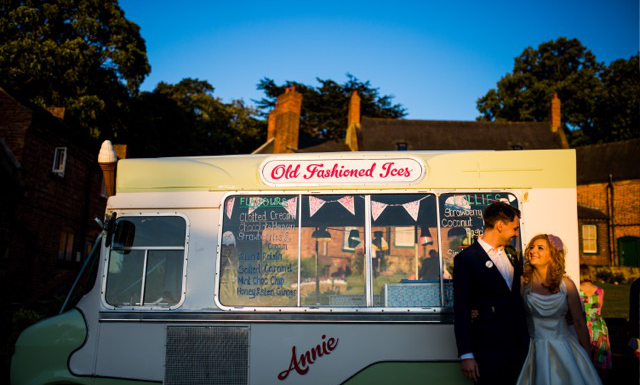 All occasions are tailored to requirement and priced on an individual basis. 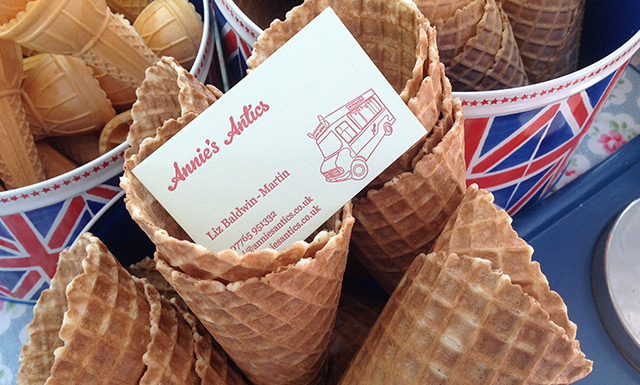 Annie occasionally writes out the odd email, telling everyone where she'll be and whats on offer. 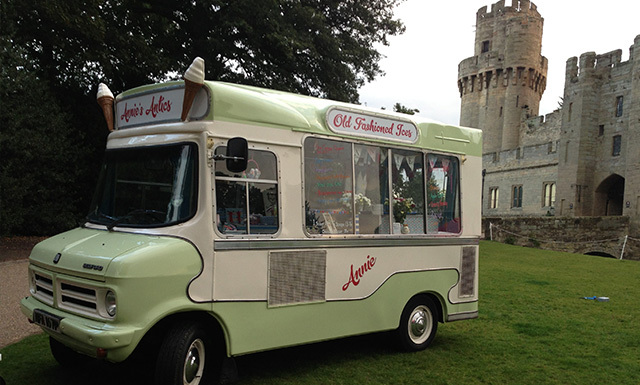 Sign up to the newsletter so you don't miss out! 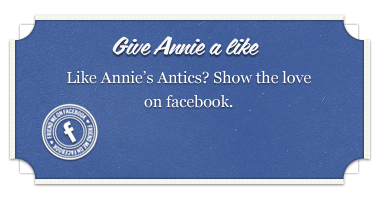 We’ve collected everyone’s pictures of Annie, and we want you to enjoy them as much as we do... take a look. 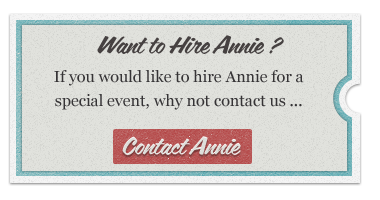 Contact Annie and say hello, or enquire for hire!